November 17, 1944 (day): This was an operation against enemy motor transport (MT) concentrations on the roads between Sjenica and Priboj, Yugoslavia. 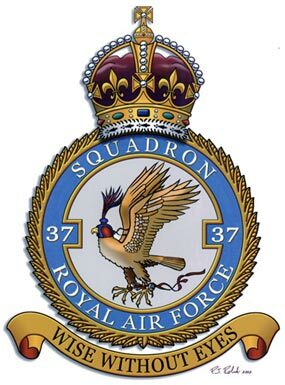 Twelve Wellingtons of 37 Squadron were detailed for the operation. MacIsaac and crew were the first to take off from Tortorella, flying in Wellington LP572 "D", at 0951 hours. Four Wellingtons were airborne when the operation was cancelled. The airborne aircraft were sent a recall message and two, Wellingtons "D" and "G", received the message and returned to base after jettisoning their bombs over the Adriatic. MacIsaac arrived back at Tortorella at 1059 hours. Wellingtons "F" and "M", having not understood the message, carried on with the attack. The weather was bad en route, with nine-tenths to ten-tenths cloud. Over the target area crews encountered nine-tenths cloud stretching from 4000 to 7500 feet in altitude. On reaching the target Wellington "M", captained by P/O Reid, could not identify any ground detail and so jettisoned his bombs and returned to base. The lone remaining Wellington - "F", captained by Sgt. Patterson - saw the road and river north of Prijepolje with more than 60 enemy M.T. stationary on the road. He attacked between 1157 and 1200 hours, dropping six 500 pound and twelve 250 pound bombs visually. Opposition was fierce and accurate light caliber flak from the M.T. along the road. Due to the cloud the crew could not observe more than the flash of their sticks, but on the third stick direct hits on the M.T. were scored - trucks were seen on fire falling into the river and down the bank. Wellington "F" was not damaged in the attack, and returned to Tortorella at 1324 hours. Because this operation was cancelled it did not count towards the 40 that made up one "tour of ops".